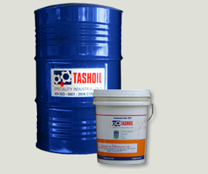 Honing Oil ‘Lubrash - 05 - 10’ :: Tashoil Company Pvt. Ltd.
LUBRASH – 05 / 10 is a light yellow coloured, thin fluid compounded with fatty oils and chlorinated additives. It finds application for grinding of shallow recessed work, whether in centreless or plain grinders , surface grinding of case hardened parts advantages of low viscosity mineral oil for quick flushing action with fatty matter and chlorinated additives - for wheel grain lubrication without clogging.